The list above is very diverse, both highly industrialized nations and emerging market economy countries are listed. This means being a source of spam does not mean the nation harbors them like any legal enterprise, it only proves that spammers are also IT-aware. They are IT-aware to the level that they value the importance of redundancy when it comes to where their spam attacks are originating from. The primary means by which spammers can obtain the victim’s email address and enough personally identifiable information is from web pages that collect and sells them to third parties. The second method is when an unsuspecting user signs up to a web service that then eventually sells user information to the cybercriminals. Very few people purchase stuff advertised by a spam email, but because the cost to the spammer is often negligible, it only takes a few out of million spam emails purchasing a spamvertised product to make it worthwhile. If all users never purchase the spamvertised products, it will surely reduce the number of junk commercial email. Following a link or the attachment of the junk email also encourage spammers to continue operating. Through spam emails, products that can never be commercially sold in the real person can be sold covertly, plus a hidden bonus of a virus infection for the unsuspecting victim. Train the anti-spam features on your personal email client. Thunderbird, Outlook Express and Apple Mail are three email programs that enable users to mark an email as spam manually. Received an email that you don’t exactly recognize? Use personal knowledge and judgment, categorize the email as a normal genuine email, but tell the sender never to send a similar message in the future. Remember that not all unwanted email is spam – for it to be spam, it should lack the user’s prior consent. Make sure to use the most updated version of your email client. Microsoft Outlook, Apple Mail and Mozilla Thunderbird release new versions to the public as soon as they become available. Users should keep their password confidential, no exemptions. At the moment they give an exemption, that is when the issue about stolen email information starts. Stay-away from email chain letters, as it is also spam. Never use “reply to all” feature, unless it is really needed in certain circumstances. Reply-to-all creates a thread for all the recipients of the email, useful for spammers when collecting email addresses. Ensure that any online service with email newsletters have an efficient subscription mechanism that is resistant to automated submissions AKA bots, this can be prevented through the use of CAPTCHA. It comes with Valkyrie-Technology, a proprietary cloud-based engine database that connects the mail server to the Comodo Cloud in order to implement updated measures. Comodo has a standard list of known spammers in its test measures database. This is supplemented by its real-time heuristics scanning of the emails, enabling detection of unknown threats. Depending upon the requirement of the enterprise, Comodo Anti Spam Gateway system is a business anti spam test solution which can be entirely cloud-based, hosted remotely, but connected to your mail server using a high speed network connection in your own office network itself. The anti spam test offered by Comodo does not add needless adverts which slow down the user’s PC. Comodo Anti Spam Gateway system isolates people from contacting dangerous content and prevents the people layer from being the most vulnerable layer in a company's anti spam system. Anti Spam test system runs independently from the workstations, it does not waste the limited computing resources like a software anti spam system with a questionable quality. Secure your enterprise, secure your future, choose Comodo Anti Spam test system versus other brands. The anti spam test used by your enterprise right now may not be able to cover the future requirement for corporate anti spam test. 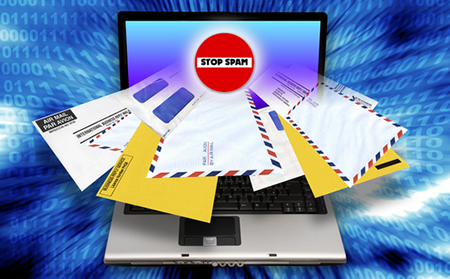 Comodo Anti Spam Gateway, anti spam test is a multi-tier system for fighting junk emails. Depending upon the requirement of the enterprise, Comodo anti spam gateway is a business anti spam test software which can be entirely cloud-based, hosted in the cloud, but connected to your mail server or a hardware appliance located in your own office network itself. Such business anti spam test software, prevents delays from email sending and receiving, in contrast to a software-based anti spam test software that runs on the mail server that interferes with the operation of the latter in real time. Comodo Anti Spam Gateway as an anti spam test is light on system resources. The anti spam test from Comodo guarantees to not consume any resources from the mail server, as it is a hosted anti spam test service in the cloud. As a hosted service, Comodo’s anti spam test has a contractual obligation to provide a bundled level of free support with the anti spam technology during the license period, serving as an all-in-one anti spam technology for any organizations large and small. Regardless of the anti spam test offered by email clients, both as ancient as Outlook Express or as modern as the incoming Outlook 2019, nothing beats a mainstream anti spam test provided by a trusted name in security, Comodo. The anti spam test from Comodo runs alongside the company’s mail server, saving the limited system resources of the latter. Comodo Anti Spam Gateway’s anti spam test algorithm uses heuristics scanning for emails. It installs a special anti spam test filtering system for those still suspiciously behaving file attachments. The anti spam test used by your enterprise right now may not be able to cover the future requirement for anti spam. Comodo Anti Spam Gateway is the answer. The first two anti spam test measures are to immunize and harden the email server, as it runs a background process monitoring the email exchange to and from the Internet. These days spammers have all the tools at their disposal to bypass anti spam test measures, but Comodo offers comprehensive database, a much-needed remedy against spam in the enterprise, regardless if they are large or a start-up. Try Comodo Anti Spam Gateway today!